• Students will become familiar with the visual and historical location of Appomattox Court House, Virginia. • Students will gain historical knowledge of the events concerning the end of the Civil War in 1865. • Ask students to define their understanding of the Civil War and its time frame. • Ask students if they are familiar with the name or location of Appomattox Court House. (Show US map and location of Washington D.C.. Show location of Virginia compared to Washington D.C.. Show proximity of Richmond, VA to Washington D.C. Show location of Petersburg. 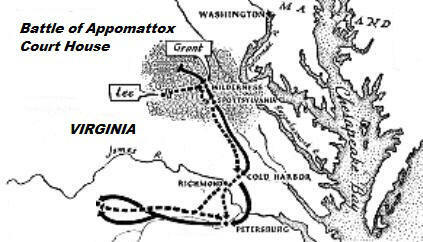 Show location of Appomattox Court House. Since 1783, America has had only three wars fought on its soil. The War of 1812, The Civil War, and The Mexican-American War. The Civil War was the bloodiest causing the loss of 620,000 individuals. Confederate deaths were approximately 260,000 men (93,000 killed in combat). Union deaths were approximately 360,000 (110,000 killed in combat). Out of 620,000 death of both sides, 400,000 were from disease. 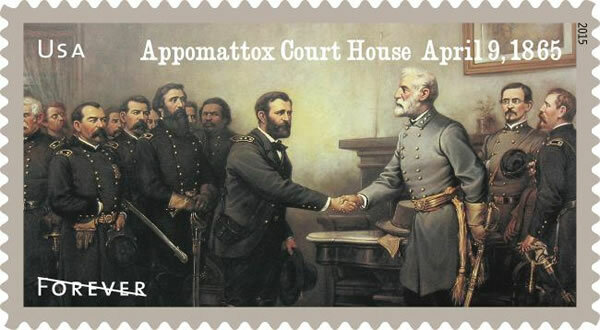 This awful war, over the sessions of states and freeing of slaves, all came to an end on April 9th, 1865 in Appomattox Court House, Virginia, when Gen. Robert E. Lee of the Confederate Forces of the South met Gen. U.S. Grant of the Federal Forces of the North met in the front parlor of the home of Wilmer McLean. Gen. Lee requested the terms of surrender, expecting harsh treatment from the Union commander, but Gen. Grant’s terms were simple and humane as both men, after four long and hard years of fighting, was glad to bring an end to the war. • What did they notice concerning the location of Richmond compared to Washington D.C.? • What did they notice from the video concerning the location of Appomattox Court House? Was it considered a farm community in 1865 or a large city similar to Richmond? 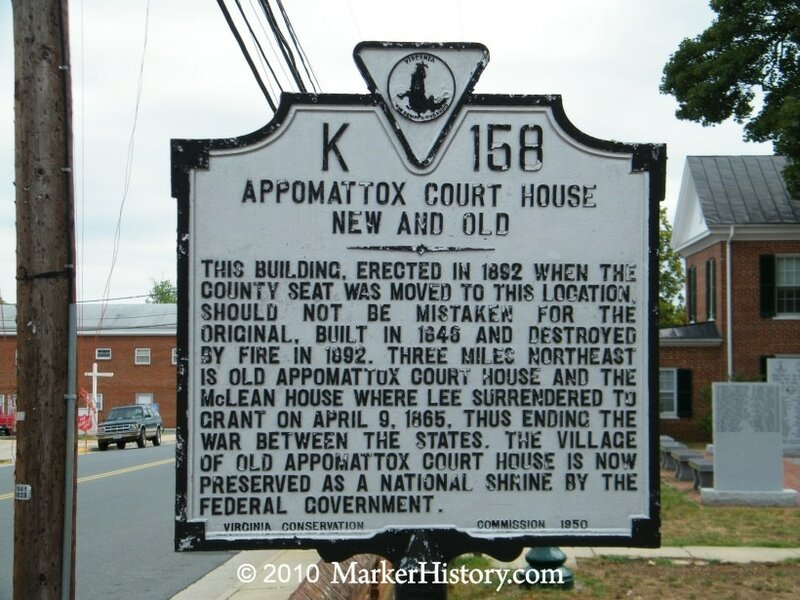 • The Court House at Appomattox Court House represents the seat of what government in 1865? Confederate? Union? Federal? Does it sound like Gen. Lee was happy to surrender? Discuss. What other options were available for Gen. Lee? • View primary source documents and web sites included in this Moodle. 1. What two armies met at Appomattox Court House in 1865? 2. Did Gen. Grant fight for the Union or Confederate army? 3. Did Gen. Lee fight for the Union or Confederate army? 4. Did the Confederate army represent the north or the south? 5. Did the Union army represent the north or the south? 6. Was the Federal government represented by the Union army or the Confederate army? 7. Was Abraham Lincoln president of the United States of America or president of the United Confederate States? 8. Who was Jefferson Davis? 9. Do you think both Grant and Lee were happy when the war ended? 14 President Lincoln assassinated by John Wilkes Booth in Washington D.C.
15 Lincoln pronounced dead18 Sherman and Johnston reach agreement on terms of surrender for all remaining Confederate armies. 19 Nation mourns U.S. President Lincoln. 24 Sherman commences operations against Johnston. 26 Gen. Beauregard (CS) surrenders at Durham Station, N.C.
Gen. Johnston surrenders to Sherman. John Wilkes Booth is shot fleeing from a barn. 27 Sultana, carrying Union POWs, explodes on the Mississippi River near Memphis. 29 Commercial shipping restrictions lifted from Confederate ports. 1. 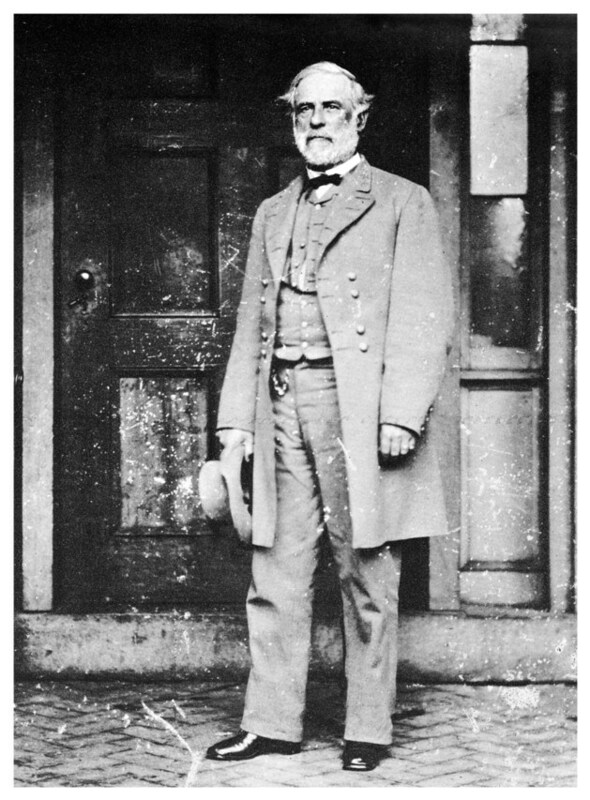 Was Gen. Robert E. Lee a Union officer or a Confederate officer? 2. How long did the Civil War last? 3. Do you think Gen. Robert E. Lee was unhappy because he knew it was necessary for him to surrender to save his men? 4. Do you think the Civil War was the bloodiest war fought on American soil? How many men lost their lives? 7. If you were a Confederate soldier at Appomattox Court House on April 9, 1865, how would you feel? 8. If you viewed the Timeline, tell me something else that happened in April of 1865 that was important.